Coming back to Tenerife wasn't very appealing to me until recently. I must have been there about 20 times with my family when I was growing up. My parents had a half share in an apartment in Las Americas with my Dad's’ business partner’s family . We had some great times there and it was the setting for some of my fondest memories. I only got the travel bug in my mid twenties and since then I’ve been on a mission to see the world. 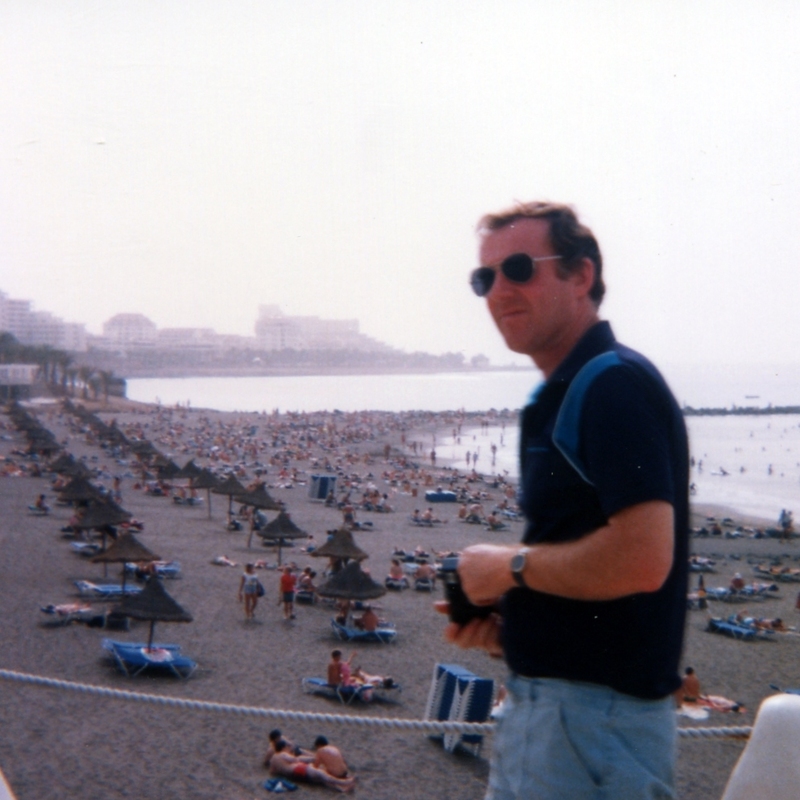 I developed a rule about not going back to places, so Tenerife never got a look in. It was going to Madeira last year and walking the Levadas that started to change my mind. I realised that I’d only seen holiday resort Tenerife, not the outdoor wonderland that most tourists never visit. It was time to return and to show Timi the holiday places of my childhood. 2018: Same view from lower position. Upper walkway now closed for building works. Flanagans: the scene of some epic 1980s dad dancing. 2018: Flanagan's is long gone. Still classy though. Parque Santiago 3 was the resort where my parents shared an apartment with the Blore's, the family of my dad's business partner. Same bridge 30 years later. 2018: Smugness comes naturally now. Bigger me, bigger tree. 2018: slightly different angle, bit colder, but still there. 2018: same building, new tech. 835 year old Dragon Tree. 2018 - still ruined but looks like someone lives there now. 2018: much more development. Think there's a volcano in there somewhere. And finally, one of my favourite photos: The Gowers and The Blores at the Santiago 3 apartment before a night out (late '80s). Sadly, no 2018 recreation for this one as not all of the original cast are still with us.